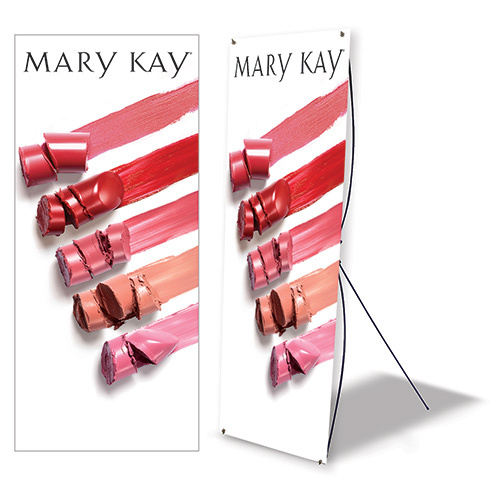 This non-personalized Mary Kay event banner adds professional sophistication to any Mary Kay event. Entire set is lightweight and easy to transport and store. The banner is made of polyester with a grasshopper-style stand that is easy to assemble and includes instructions and a carrying case. Banners include a 30-day 100% satisfaction guarantee and one-year manufacturer's warranty on defects. Size: 31 1/2" x 70"